Most people find these tools to be very valuable. Most consultants charge for these tools. We don’t. Do you know how much it really costs to put your employee in the field? 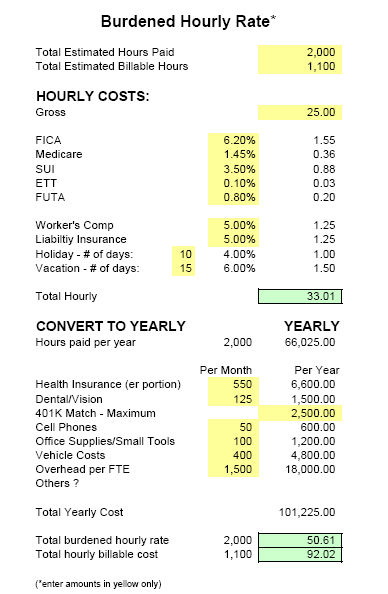 This simple spreadsheet is designed to help you determine the true costs of your field labor. 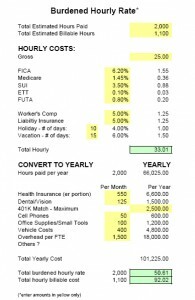 Simply fill out the fields highlighted in yellow to determine the hourly cost of your production labor. For a more complete spreadsheet, that allows entry of up to 10 employees, and provides summary information, the Labor Burden Calculator can be purchased for an additional fee. 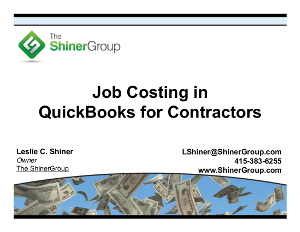 Use this valuable tool to set billing rates, establish pricing strategies, and make sure you are not only covering the costs of employees, but making a profit as well. Contact us to request this tool be emailed to you. 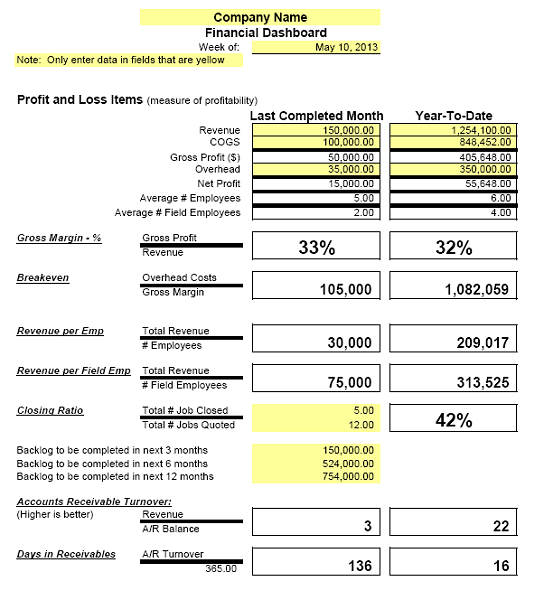 Use this Sample Flash Report to see a snapshot of where you are and what items need your attention. 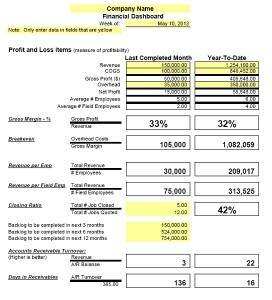 Simply enter data in the fields highlighted in yellow to create your own Flash Report For a more complex Executive Dashboard, that provides guidelines and full instructions, contact The ShinerGroup for pricing information. Let’s WIP your company into shape!